Hemp And Your Health - Learn About The Effects Of Hemp And Place An Order | Rocky Ridge Hemp Co. 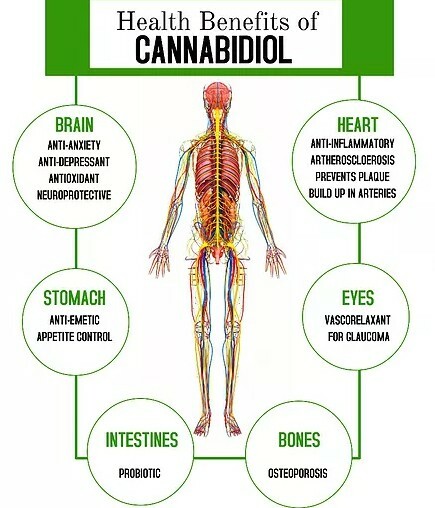 While the human body produces cannabinoids on its own, they are not the only source for these chemicals. Cannabinoids can also be found in plants, including cannabis. In order to produce their effects, cannabinoids, including CBD, attach themselves to specialized receptors in the body and brain. These receptors, CB1 and CB2, perform different functions and are located in different parts of the body and brain. For example, CB1 receptors are found throughout the body, with the largest concentrations located in the brain. THC attaches to the receptors in the brain to help you with coordination and movement, pain, emotions and mood, thinking, appetite, and memory, among other processes. CB2 receptors are commonly found in the immune system, where they affect how you feel pain and inflammation. Due to the lack of FDA regulation for CBD products, seek advice from a medical professional before settling on any particular dosage. As regulation in the U.S. increases, more exact doses and prescriptions will start to emerge. Shop with Rocky Ridge Hemp Co. today for a wide range of hemp and CBD products that are grown on a USDA-certified Organic farm. We are proud to offer the highest quality products at great prices.